The New York Public Library has opened their digital vaults. They have 180,000 images that are public domain and there are quite a few HOUDINI pictures. Though no where close to 180,000 Houdini images, more like 70 or so. But great photos they are. Also, there are some very clear images of a couple of the Houdini posters. 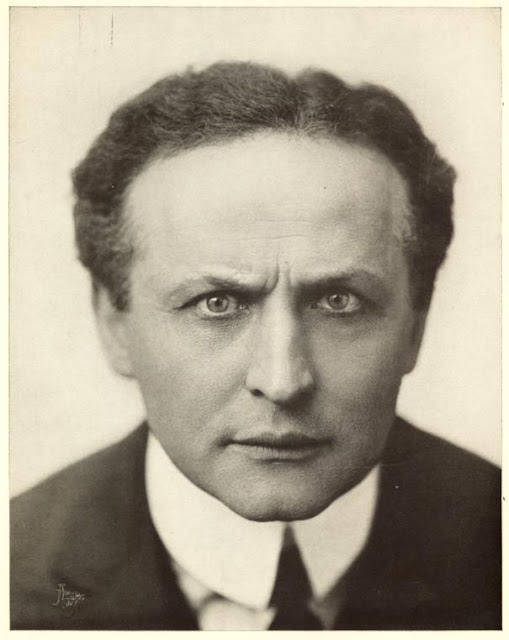 The Houdini pictures come from the Billy Rose Theatre Collection. And they have a collection of magic posters and a few photos of magicians as well. I've combed through the Billy Rose collection and it's a gold mine. One thing I never knew about was their large amount of UNCATALOGUED stuff - mostly clippings, but all kinds of random nuggets within.